Home / Contests • Fanboying! • Featured / MTF Holiday Gift Guide! The Top Five Presents For The Geek Dad In Your Life! 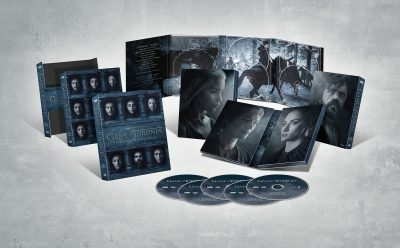 Plus Win Game Of Thrones: The Complete Sixth Season On DVD! As the holidays approach and shopping season starts, stress levels go up and up and up. It’s hard to find the perfect present for the people on your list. Well, we at MTF have you covered. All week long we’re doing a gift guide a day for the Fanboys and Fangirls in your life. Plus, thanks to our awesome sponsors… We have a giveaway each day this week as well! Are you excited? I know I am. We’re starting off with the perfect present for Dad’s! 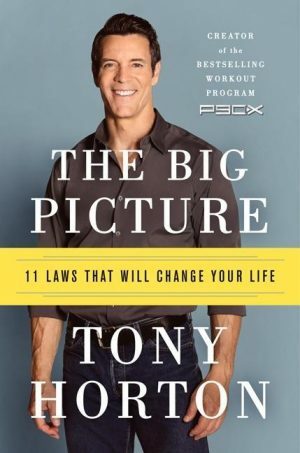 First up, we have fitness guru and creator of P90X Tony Horton’s wake-up call for readers—a motivational and practical guide to creating a better life and a healthier body. 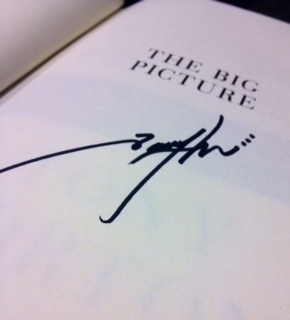 His book, The Big Picture is a great read and if you act now, you can get it on-sale and in a signed edition! One of America’s best-known and most-loved fitness gurus, “master of motivation” Tony Horton shares his philosophy that will help you live your best life. In his first non-workout book, he offers 11 Rules that provide a clear path and purpose for achieving life goals and obtaining optimal health. Written with his trademark irreverence, candor, and take-no-prisoners approach, The Big Pictureshows you how your physical health is intricately linked to your mental, financial, and family health, and overall happiness and contentment—and how the same skills and principles that work in the gym work in every area of life. Tony shares stories of the hard-won battles he’s faced—many of the same life challenges experienced by his fans—from childhood bullies and problems at school, to financial troubles and being overweight. Next up, let Dad’s go where no one has gone before… Except when they were kids! The Star Trek Retro Bridge Playset! A Diamond Select Release! Return to the days of Captain Kirk and the first U.S.S. Enterprise with this retro-scaled recreation of the classic Mego Enterprise Bridge Playset! Maintaining all the features of the original release, this playset will make your 8-inch retro cloth figures explore the galaxy with interchangeable view screens, or vanish with the turn of a transporter dial! 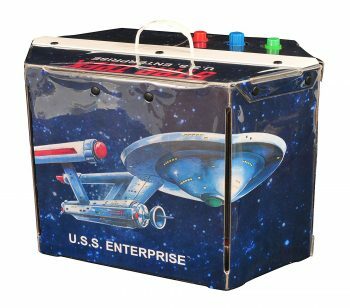 Featuring the classic fold-up design, this playset becomes a carrying case, allowing you to boldly go where no starship has gone before! Playset features vinyl and cardboard construction, and comes packaged in a full-color, retro-style box. Lovingly re-created by DST!. Talk about bringing back memories for any Star Trek fan! One thing I know from my Dad is that he always has photos in his office, but he needs a cool way to display them. This is a perfect way to display family photos photos in a fun and unique way! What do Superman, Batman and your drunk friends all have in common? They’re all in comics! 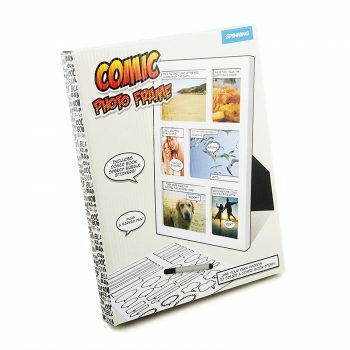 Relive the highlights of classic nights out with our action-packed Comic Strip Photo Frame. Just add wild pictures and some humour to create a personalized comic page for you and your friends to enjoy. 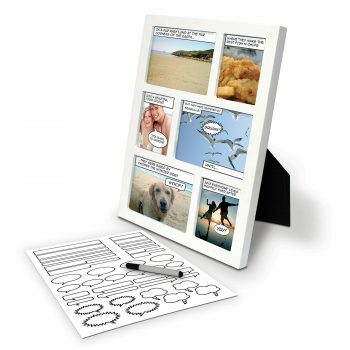 Each frame comes with a selection of speech bubble stickers and a pen so you can capture the witty banter again and again. It’s the collector’s print of your life framed in a clever cartoon strip for all to enjoy. Let your inner comedian wild as you pepper witty comments and commentary over the marvelous achievements and/or sloppy mishaps of friends and family. Pow, Boom, Ka-pow! Get yours signed by someone special or stash it in your parents’ attic for a couple of years to see if it increases in value! Trade them with your friends or over-charge complete strangers on eBay! Maybe one day Hollywood will adapt your comic into a blockbuster movie. Maybe they won’t; it doesn’t matter because you and your friends are stars of your very own comic! Woo hoo. 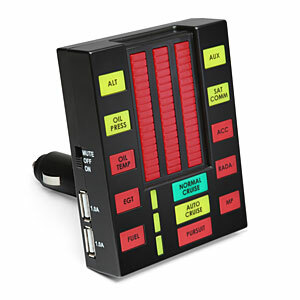 You can give your Dad some extra pep on his drive to work with the Knight Rider Kitt USB Car Charger! Be just like the Hoff, but without the beauties in bathing suits! 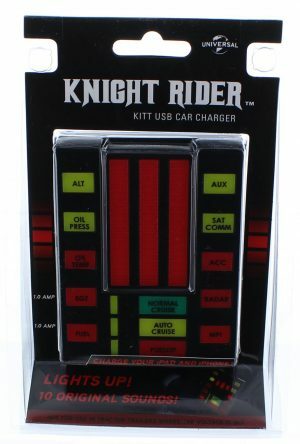 The Knight Rider USB car Charger looks like KITT’s voicebox from the ’80s series Knight Rider and even has light bars sync to audio which plays back 11 different phrases! Sadly, the 1982 Pontiac Trans Am not included! Doh! Finally, the top of the list? 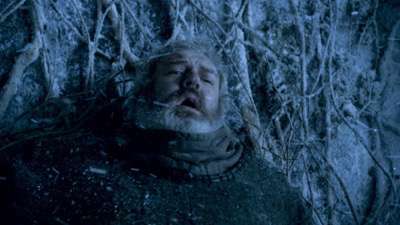 Game Of Thrones: The Complete Sixth Season On DVD! 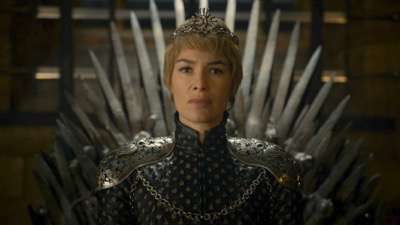 Extra special thanks to our friends at HBO who have given us a copy of Game of Thrones: The Complete Sixth Season on DVD to giveaway! How awesome are they? Super awesome! 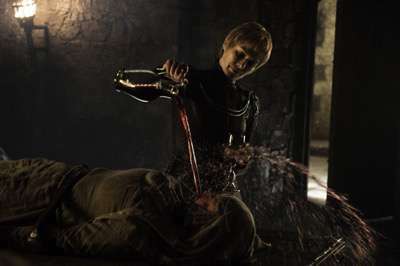 Also check out Game of Thrones on Amazon! Enter to win via the Rafflecopter form below! The Following Cast Autograph Signing At NYCC 2013! Kevin Bacon! James Purefoy! And More! 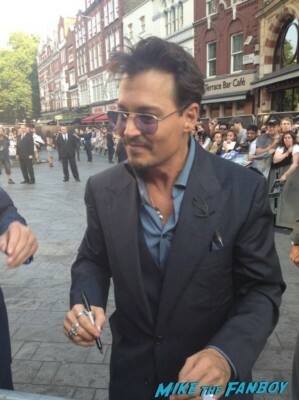 James Meets Johnny Depp In London! With Armie Hammer! Gore Verbinski! Jerry Bruckheimer! And More! Lone Ranger Goodness! Autographs! 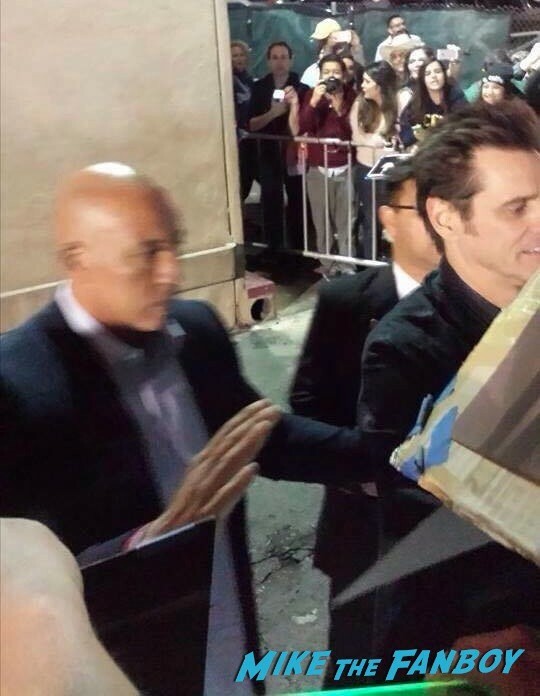 Rush New York Movie Premiere Report! 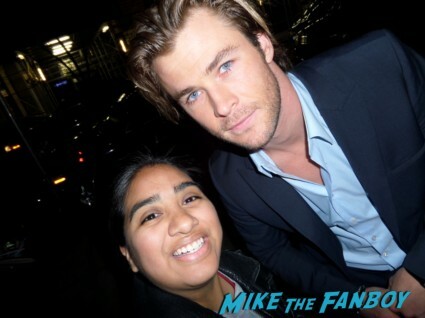 Elisa Meets Chris Hemsworth! Daniel Bruhl! Dan Stevens! Dana Delany! Autographs! And Tons More! The show always keeps you on your toes. 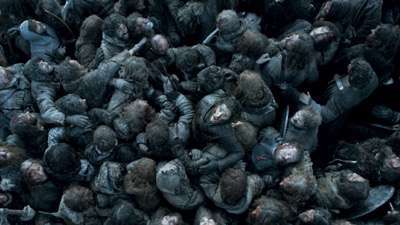 The action, storytelling, acting, shifting politics, etc. Love the story and the actors. Such an addicting show! Thanks for the chance! The action is awesome! It’s my fave show at the moment. I like the unpredictability, anything can happen and usually does.